I’m fortunate enough to live on top of a big hill. I’m fortunate enough to cruise down it every morning on my way to work, and fortunate enough to have to grind back up it every evening. The unfortunate by-product of this is that I go through brakes in fairly short intervals. 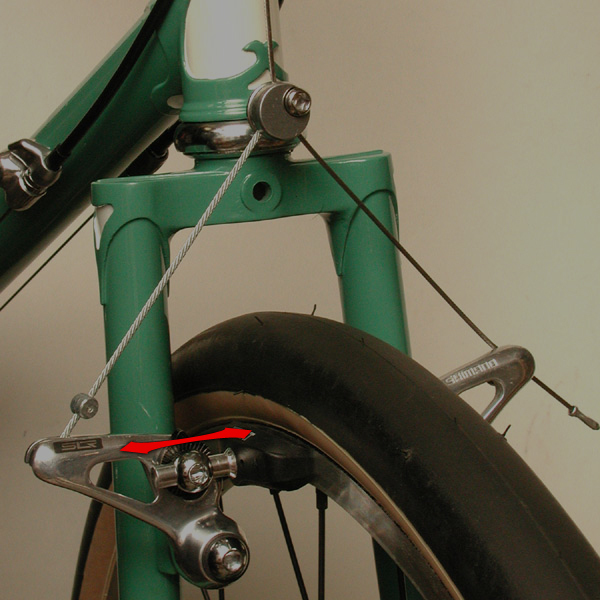 The really unfortunate extension of this is that the brakes on my commuting/cross bike are cantilevers. As anybody who’s ridden canti’s can attest, they are, and forever shall be, the devil. Nothing shakes the fillings out of your teeth worse than a set of badly aligned cantilever brakes howling their way down a hill. 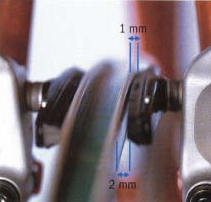 Having run canti’s on mountain bikes ‘back in the day’ I can tell you will 100% clarity that installing/aligning them is anything but a science. It is a dark and mysterious art… One that I am still struggling to master. That said, should you find yourself in the same boat as I, I thought I might share some tidbits of knowledge I’ve picked up along the way. Pad height refers to where the brake pad is situated on the rim vertically. You’ll want to ensure that the brake pad is centered nicely between the top and bottom of the rim edge. On a cyclocross bike this is no biggie, but with some really fat mtb tires there can be times where this is a bit of a challenge, as the brake will rub up against the tire when the brake isn’t applied, as a result some tomfoolery (note the technical term) may be necessary. Pitch angle refers to the line of the pad following the line of the rim. Most newer pads are slightly curved – just make sure that curve follows the curve of your rim. Easy peasy. I generally find these two adjustments to be the easiest, and the best place to start. Roll angle refers to the vertical tilt of the pad as it strikes the rim – now that you’ve got the pad centered vertically on the rim (as above) you’ll optimally want both the bottom and top edges of the brake to strike the rim flush, in tandem. I find that this step, combined with toe in is the biggest contributor to stopping brake squeal and ensuring good braking performance. One way to help move this in the right direction is to ensure that with the brake applied, your brake arms are perpendicular to the braking surface. Toe in refers to the front of the brakes being tilted in very slightly, so the leading edge of the brake hits the rim before the tail of the brake pad. Without a proper roll angle, I find the mystic toe in does little to counteract squealing brakes, but with the roll angle properly aligned toe in can be the final squeal killer. To get a good toe-in, usually what I’ll do is either wrap a wide rubber band around the tail end of the brake pad, or simply slip a mid-sized zip-tie between the pad and rim. Once you’ve got the zip-tie or rubber band in place loosen the adjustment bolt and squeeze the brakes slightly but don’t compress them fully – Essentially allow the pad to shift in response to your shim, and not completely flatten out (as it would under high brake pressure). Once the brake is compressed enough to not move tighten the bolt (but not so much that you move the pad). Pad extension refers to the distance of the brake shoe from the brake arm – theoretically as the pad gets further away from the brake arm your mechanical advantage increases. This is something that I generally don’t play with too much – I usually have my pads as close to the brake arms as possible to facilitate the quick release. Though I realize that many of our readers are mountain bike riders, and I’m sure the vast majority of them are running disc set-ups now, I’d love for anybody/everybody to share their squeal reduction/elimination techniques, for those of us that still have a rig that’s running cantilevers! Nice article. However, I must say a bit over my head. I probably would have had an easier time if I had my bike in front of me rather than trying to visualize it.